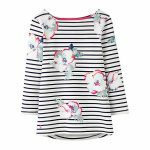 With 3/4 length sleeve styling and feminine cut hem, the broad signature stripe beneath a striking floral print is sure to brighten up any wardrobe and we predict to be a firm favourite for the season to come. 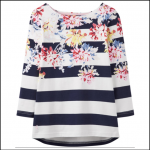 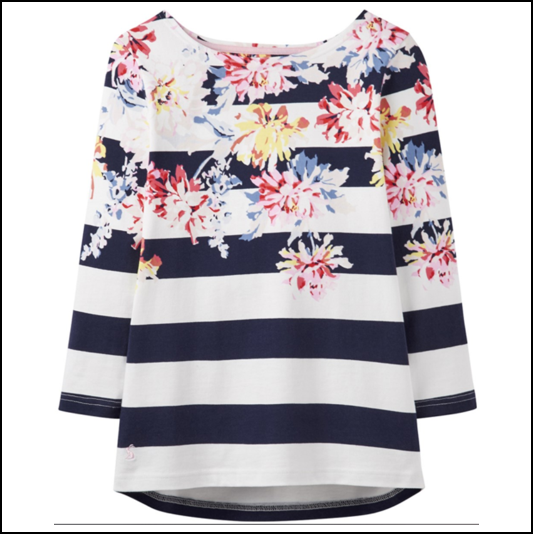 Like this Joules Harbour Stripe Floral Jersey Top? 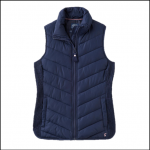 Why not browse our complete Tops & T-Shirts range.